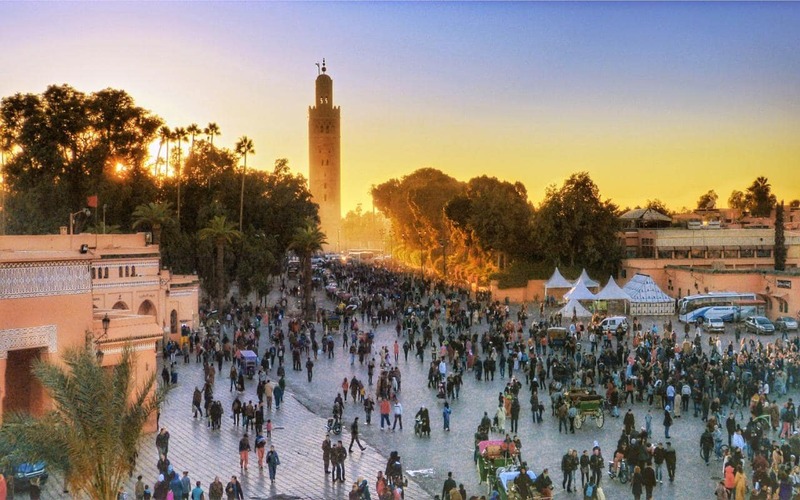 We at Enjoy-Morocco Tours provide a variety of inspiring and informative professionally Fes to Marrakech guided trips and tours daily through many destinations across Atlas mountains, and Sahara Desert. All of the Marrakech private tours listed below are move along at a leisurely pace. Enjoy Morocco team organise Fes to Desert and Marrakech tours with experienced drivers and guides. After breakfast, we pick up you from your hotel and we departure to Ifrane, which is a charming ski resort ,w e visit also Azrou, where you spot monekys in cedar forest After lunch in Midelt we descends to Erfoud through the gorges and the Ziz valley. We continue to the sand dunes near Merzouga caled Erg Chebbi. 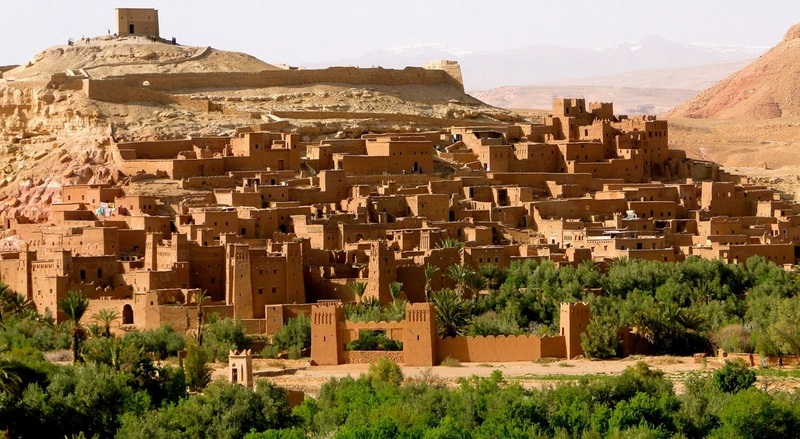 We will have dinner and overnight at the local kasbah in Merzouga. After breakfast, our Private Fes Tour to desert continues and we will explore desert in 4x4 dunes & Berber villages tour. We visit Nomads living in desert, we explore the village of Khamlia where you listen to Gnawa music, we prepare for camel ride across dunes and you watch the sunset in the Merzouga dunes. Enjoy 1 hour and a half for camel trek to reach our private camp in Sahara. After dinner we listen Berber songs..
We wake up early to watch the Merzouga sunrise and enjoying the scenery. We ride camels back to village and after breakfast we visit Erfoud and its fossil factory. We reach Tinjdad , then Tinghir and Todra Gorge where we stop for a lunch. In the afternoon, we will reach the Dades Gorges where you will have dinner and overnight at the local hotel. Today we explore best of the Dades Valley and we drive via the route of a thousand kasbahs, we explore the Valley of Roses and the Skoura palm grove with its Kasbah Amredhyle. We will also visit Ouarzazate city, overnight in a hotel in Ouarzazate with dinner.